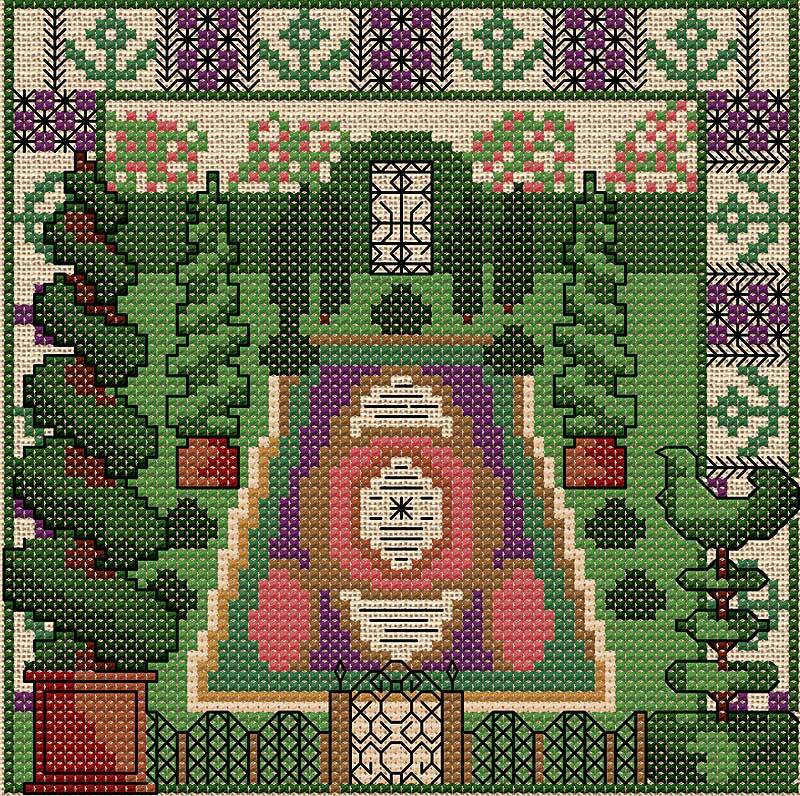 One of my series of garden tiles, this project is worked in cross stitch, double cross stitch, fly stitch, and backstitch. Work double cross stitch in the green stranded cotton. These stitches are not complicated and there are full instructions when you download the charts. The design may be worked or linen or Aida fabric.